The rise of Virat Kohli started in Australia. India has been completely dominant against the West Indies in the home conditions which was on the expected lines, and the next Test assignment will be against a relatively inexperienced and weak Australia side in their own backyard. This is the best chance in a long time the Indian team has had to win a series overseas. 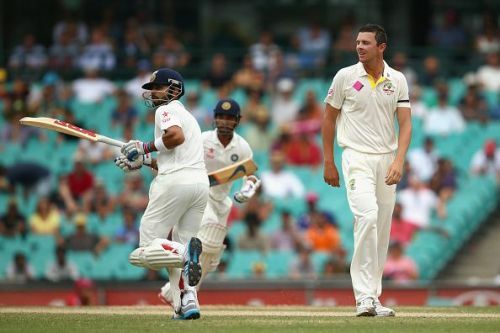 Enough said this won't be any easy given Australia's potent bowling attack, and India's strong yet struggling batting lineup barring Virat Kohli who has been the pillar of the team. The chance lies with the fact that India has one of the best bowling attacks in the world and India's best in quite some time. There are a lot of fresh faces in both the sides. While the Indian selectors decided to look beyond the tried and tested combo of Vijay and Dhawan, Australia, on the other hand, had to because of the suspension of David Warner and Steve Smith. There is nothing wrong that Virat can do at the moment. 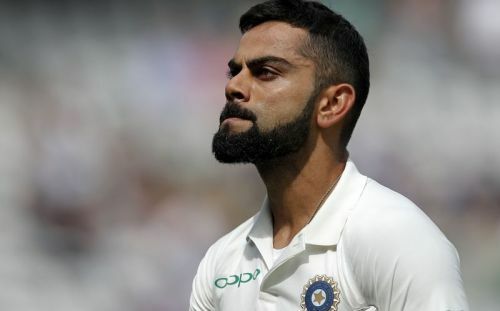 Virat Kohli is at the peak of his career and has achieved a lot in his first decade at the international arena, and is having another good season with the bat which he is making a habit for the past few years, and is already setting an example for the rest of the pack to follow. He is unquestionably a legend in the making and will look to emulate or even surpass his own performances of four years ago in the same country. But Virat's major accomplishment will be to leading this Indian side to a maiden series win in Australia and also winning the World Cup for the third time for India.